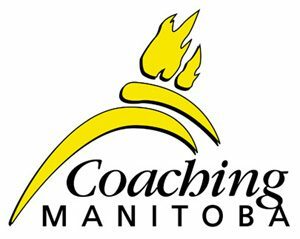 Ringette Manitoba requires that all bench staff complete the mandatory training that is outlined for the position they are listed on the roster. This training must be completed by January 15th annually. Any bench staff who have not completed the required training by the January 15th deadline, will be removed from the roster for the remainder of the season. All team staff listed on the roster MUST complete a Bench Staff Code of Conduct and Child Abuse Registry. Both forms must be submitted by November 1st annually. All team staff are required to complete Respect in Sport. All teams with players under the age of 18 MUST have a qualified female team staff over the age of 18 listed on the roster and on the bench for every game. There should not be anyone on the bench during a game that is not listed on the roster, unless you have been given permission for a guest coach in extenuating circumstances. Managers will not be permitted on the bench during any games at the U14 AA, U16 A, U16 AA, U19 A, U19 AA and Open Elite levels. CI Certified – To become CI Certified you must complete the Intro Clinic, CI Clinic, Making Ethical Decisions requirement(s) as well as complete and submit the portfolio and receive an on ice evaluation.